The Juliana thong sandal comes with a rope espadrille wrap for a stylish look. Beautiful uppers and all day comfort make this a perfect sandal. Features all day comfort with its top adjustable strap and soft footbed. It has a 1" heel. Featuring the Comfort Plus HSQ™ patented footbed technology. 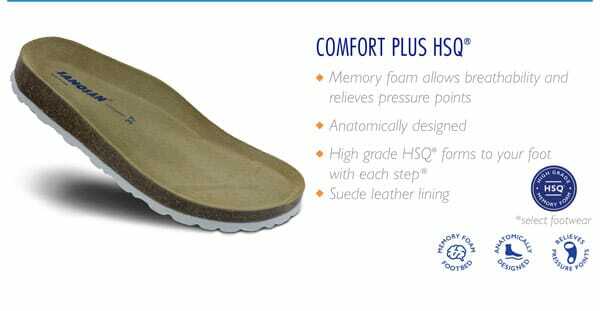 Utilizing patented HSQ Memory foam in the insole to provide you with superior comfort. The flexible and natural Suede lining, which is gentle on the skin, nestles up softly against your foot and adjusts to its contour. The open-pored and thus very breathable surface makes for a comfortable foot climate, even during more strenuous physical activity.